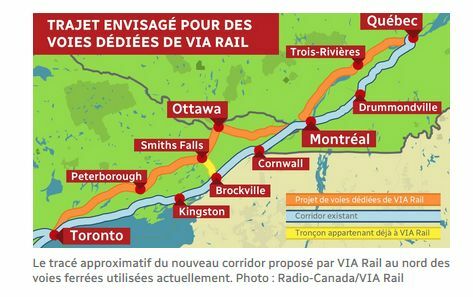 It is hard to believe that VIA Rail’s $4billion dollar passenger rail plan has gotten this far in the process of consideration by Transport Canada and the federal Liberal government. The Liberal’s pre-election budget is being presented March 19th, and it is judgement day for VIA Rail’s flawed plan. New readers to our site should read the previous articles linked at the bottom of this page to learn more about this plan and why it is problematic. This 4 billion dollar debacle has VIA trains travelling at 1975 era speeds through sparsely-populated areas on an abandoned Ontario-Quebec Railway line. 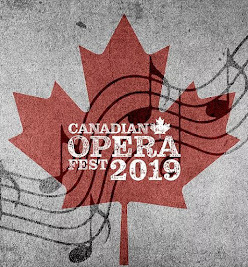 (Toronto - Peterborough - Ottawa). Then the line travels on to Montreal - Trois-Rivières - Québec City. Sadly, taxpayers who would fund it, cannot comment or see the proposal before the Liberal government potentially approves it. Here are some facts that should alert the public and the government to the fact that this plan is seriously flawed. Amazingly VIA Rail Canada will not tell the public how much the fares will be on this plan. For long-time VIA Rail Canada watchers this is no surprise. Although VIA is owned by the public, it is shrouded in secrecy. Their already- high fares will increase, further alienating the chances to improve ridership. The present situation of high prices is the cause of empty seats on the VIA Rail Canada Montreal-Quebec trains is a well-known example. You would think that if taxpayers were going to give VIA Rail 4 billion dollars, a simple question like “What will the fares be?”, could be answered. 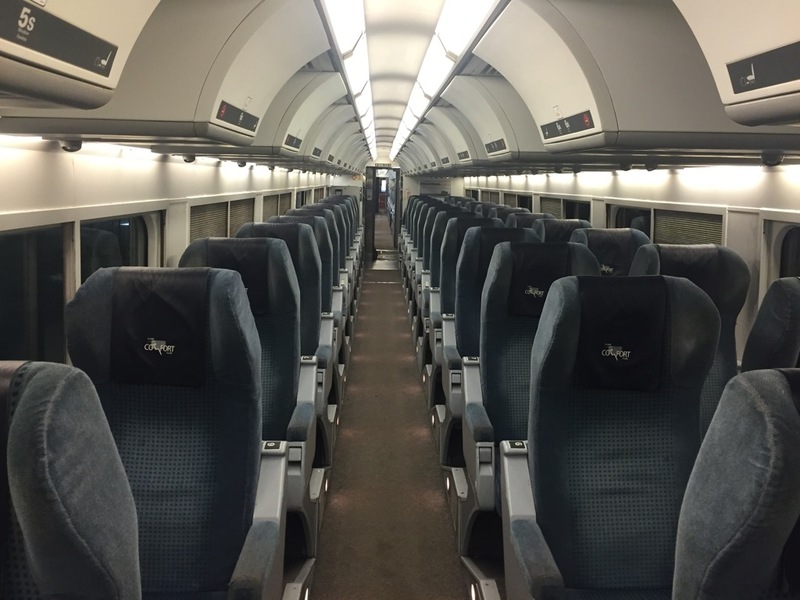 The photo from the “Empty Trains” website tells the story of how VIA’s present pricing policy has a negative effect on ridership. 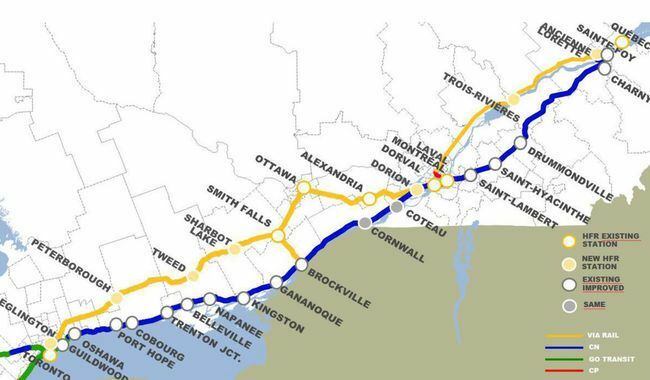 VIA Rail has never told the public where the route is going to go. Even worse they have misled people with respect to where the train will stop. If VIA Rail’s real route was revealed to the public, the flaws in their plan to use this abandoned rail line would be apparent. Let us look at the deception that VIA Rail has used to get communities along the line to buy into their plan. They met with politicians along the line to get their support and promised them stops along the way. By March 6th, 2019 Tweed and Sharbot Lake are no longer on the map, and VIA states they will figure out later (after they get the 4 billion dollars) who, if any, will get stops on the line. The facts are clear. VIA does not want the public to know the details of their plan. How can VIA Rail and Transport Canada move forward on a 4 billion dollar plan that does not include the latest safety systems that are already in place in many countries around the world. 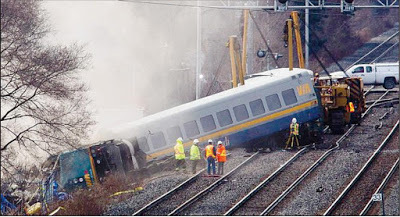 On February 27, 2012, a VIA Rail passenger train crash involved multiple fatalities. It could have been prevented if Positive Train Control (PTC) Systems were implemented by CN and VIA Rail. PTC systems automatically stop trains before certain types of accidents can happen. PTC involves a safety overlay system on the existing signaling and train control system that is designed to prevent accidents caused by human error. It is designed to prevent train-to-train collisions, overspeed derailments - or excessive speed derailments - unauthorized incursions onto track maintenance work zones, and movement of a train through a track switch that has been left in the wrong position. The corridors they are referring to are VIA Rail’s existing main routes. As of 2019 nothing has happened in Canada to implement PTC. The USA has passed legislation requiring PTC to be implemented and the USA railroad companies are struggling to meet deadlines for implementation. Ironically CN in the USA is moving aggressively to implement the PTC technology. CN has Initiated PTC on 19 of 35 track segments, or 54 percent of required track segments, representing approximately 1,568 miles. They are investing US$1.4 billion on the entire project to install PTC on approximately 3,100 route-miles in the United States. There is no information in what VIA Rail has released in their $4 billion plan that suggests PTC will be implemented on the track they will be building. Track that VIA Rail currently runs on, mostly CN Rail, is not slated to implement PTC systems. The plan should never be approved, but if it is approved, the federal government must demand PTC along the line. VIA Rail President Yves Desjardins-Siciliano can be held criminally responsible if an accident occurs if they fail to implement PTC on the line. Bill C-45 and the addition of section 217.1 to the Criminal Code of Canada allows for charges against presidents, directors, officers of companies if they fail to take reasonable precautions to protect their workers. Additionally, Transport Canada should order CN and VIA Rail to install PTC as per their 2012 recommendation. How can VIA Rail travel through a sparsely populated part of Ontario and expect to improve revenues? The simple answer is that they cannot. High Speed Rail Canada has great concerns that the bureaucrats at Transport Canada do not have the skillset to critically analyze the plans brought forward by VIA Rail and their consultants. Previous articles by High Speed Rail Canada on the subject questioned the VIA Rail Canada assertion that there will be 25% trip savings. We still question this finding without the data to support it. What is clear is that the thousands of passengers who travel directly from Toronto to Montreal on VIA Rail will still have trip times that are over an hour longer than a half century ago on the same line. For passengers that travel the long way, Toronto-Ottawa-Montreal, the new route will be even slower. 6. that the trip times between Toronto and Montreal will be improved. In fact, the trip times will be worse than they were 50 years ago. We deserve better. Tell your politicians to say “no” to this 4 billion dollar debacle. We need passenger rail improvements in Canada that will truly benefit Canadians. It appears that you are again expressing your complete disapproval and frustration for Via Rail's HFR plan even though it has been overwhelmingly endorsed, not only by the vast majority of towns and cities along the proposed routes, but also surprisingly by cities such as Kingston along the lakeshore route and Drummondville on the south shore of the St. Lawrence river! - The use of higher-speed, conventional trains on dedicated tracks will provide quicker and more reliable speeds and schedules than on shared trackage. For example, my wife and I travelled by train from Toronto to London a few months ago and never reached the maximum speed of 160 kph; at the most, we reached 125 kph, and in some instances, were limited to 67 kph for nearly 1 hour due to worn trackage and being stuck behind a freight train! - Although not as fast as HSR, HFR will still encourage some business executives to take the train as it provides a much more comfortable, consistently reliable (all-weather capability), productive work environment (WiFi), and downtown-to-downtown convenience as opposed to flying or driving. - New train sets, built by Siemens, can reach speeds up to 200 kph. - The trackage to be built along the HFR routes will most likely have at least a class 6 capability, that of providing a top speed of up to 177 kph; also, Via Rail may request class 7 trackage for some segments of the HFR routes from Transport Canada, providing a top speed of up to 200 kph, if safety conditions are met pertaining to at-grade crossings. - The frequency of trains will increase up to 15 trains a day in each direction, thereby providing more convenience to travelers who would otherwise choose to drive and hence, increase gridlock. - The completion time for the HFR project will be approximately 4 years rather than 10 years for HSR. - HFR will also help our country meet its international climate change agreements by reducing carbon emissions, even more so if train sets are powered by electricity! - HFR is the most likely plan to be approved in a timely manner in our present political environment compared with HSR due to significantly lower costs. - Via Rail's HFR brings a lower ticket price to a much broader segment of Canada's population, the middle class, compared with HSR. - The latest demographics indicate that between 10 to 13 million Canadians do not drive; as such, a modernized passenger rail system will allow seniors and/or millennials located in small towns and cities to have the means to travel to and from medical appointments, connect with family members, have access to employment opportunities or take affordable short- to medium-length trips to tourist areas. - Most countries throughout the world have migrated to HSR several years after the implementation of HPR (or HFR in Canada), such as in the case of Britain, France and Germany! - Most importantly, once Canadians reacquaint themselves with the concept of higher-speed, conventional rail, the possibility of eventually upgrading to full HSR will still exist and at less cost than would be the case by starting from scratch. Via Rail's HFR proposal also offers Canadians the best option to help mitigate the most pressing transportation issue affecting our quality of life, that of road congestion! Most Canadians agree that Via Rail's HFR is a concept worthy of consideration compared to costly high-speed rail that, based on historical evidence, may not materialize until several more decades to come!